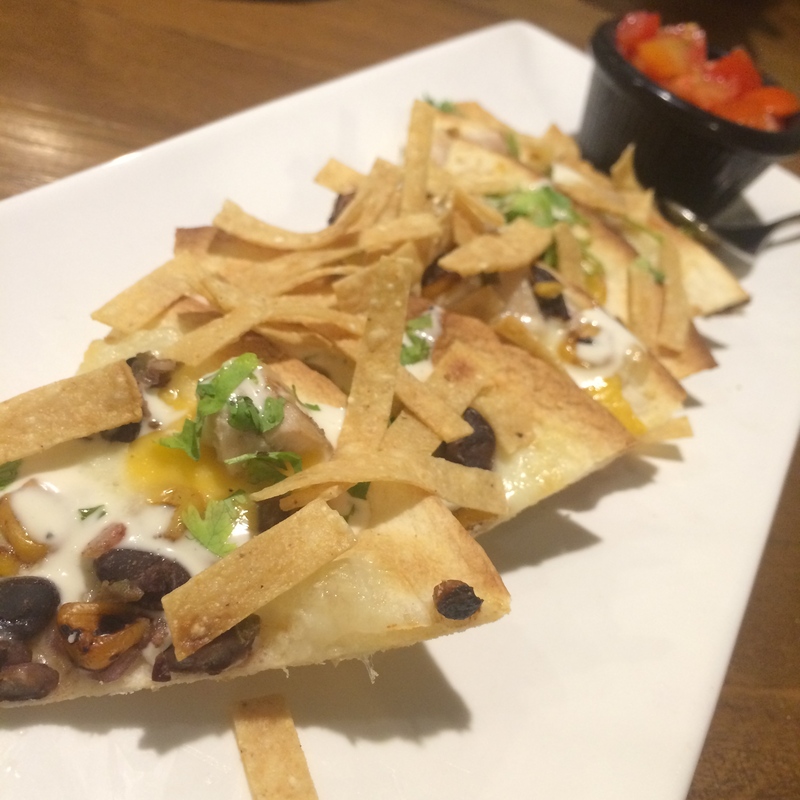 Taste Bud Delights: California Pizza Kitchen – . 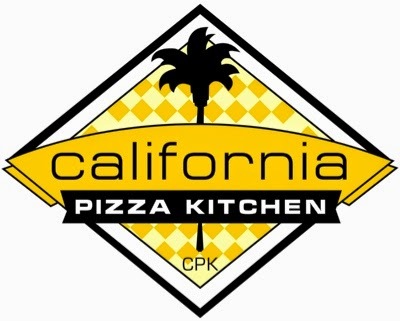 California Pizza Kitchen caught my eye as my boss and I finished running errands at Shangri La and he asked if I wanted to have the dinner at CPK and I immediately said yes! I love pizza, not as much as I love chicken though, but the resto’s ambiance and staff made it look like, oooh, this guys serve good food! 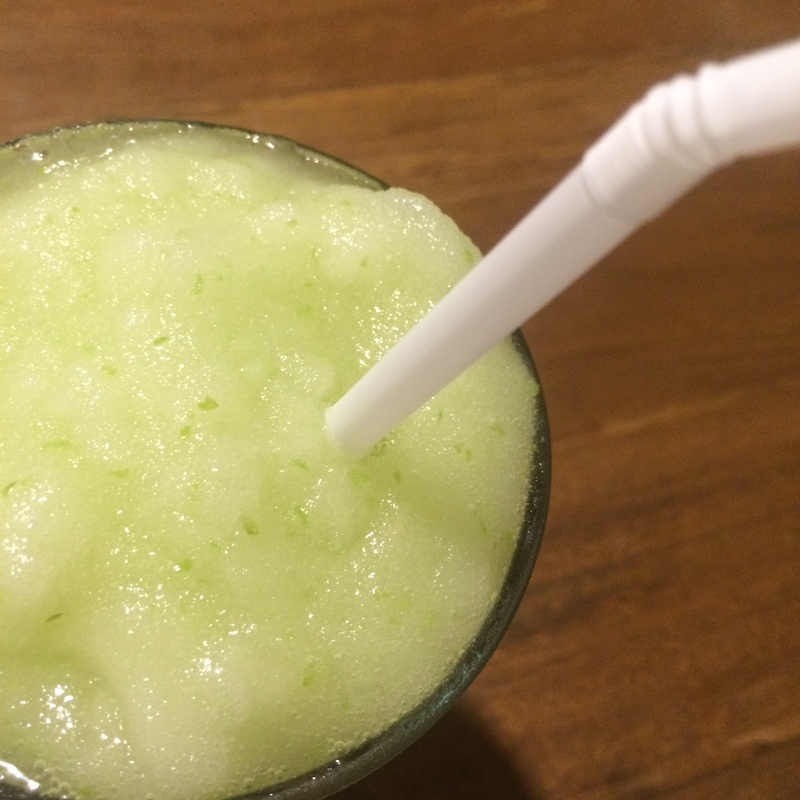 My drink was, as always, served before my appetizer, and man, this Green Apple Fresh Fruit Shake is perfect! It’s like frozen green apples were crushed freshly into my glass! Very refreshing. And then my Moroccan Spiced Chicken was served. I was like, now we’ll see if they really serve good food. And yes, it did meet my expectation. The avocado made this menu more special. It didn’t come with the whole recipe in a awkward way, not like what I initially thought upon seeing it. Haha! 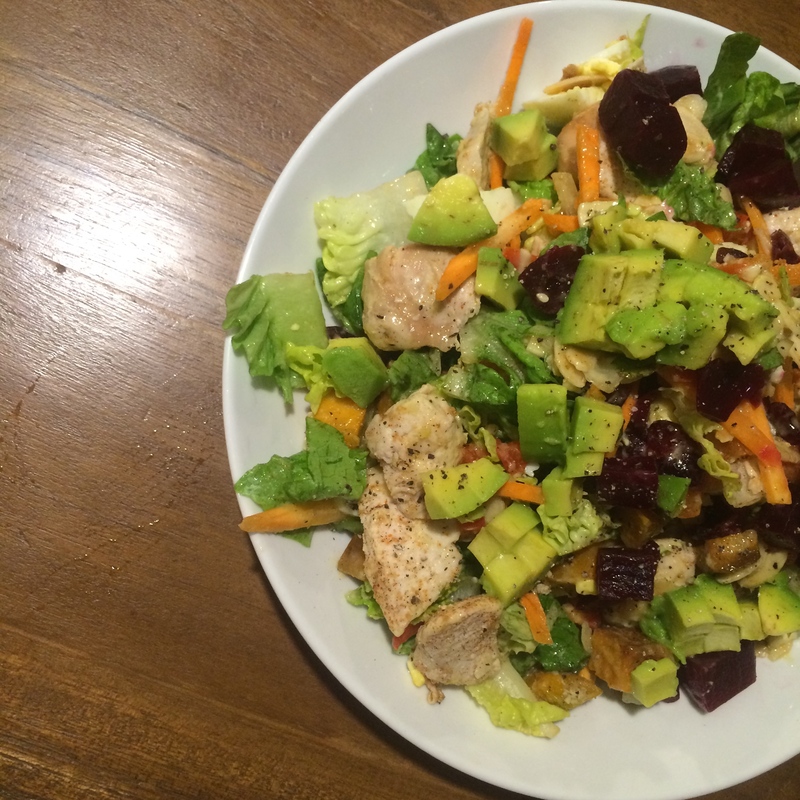 Veggies were fresh and the chicken was soft and seasoned in a way I could not understand. Definitely a must-order-again! And the main attraction was served! Hahaha! I tell you, it is a lot yummier than it looks like. 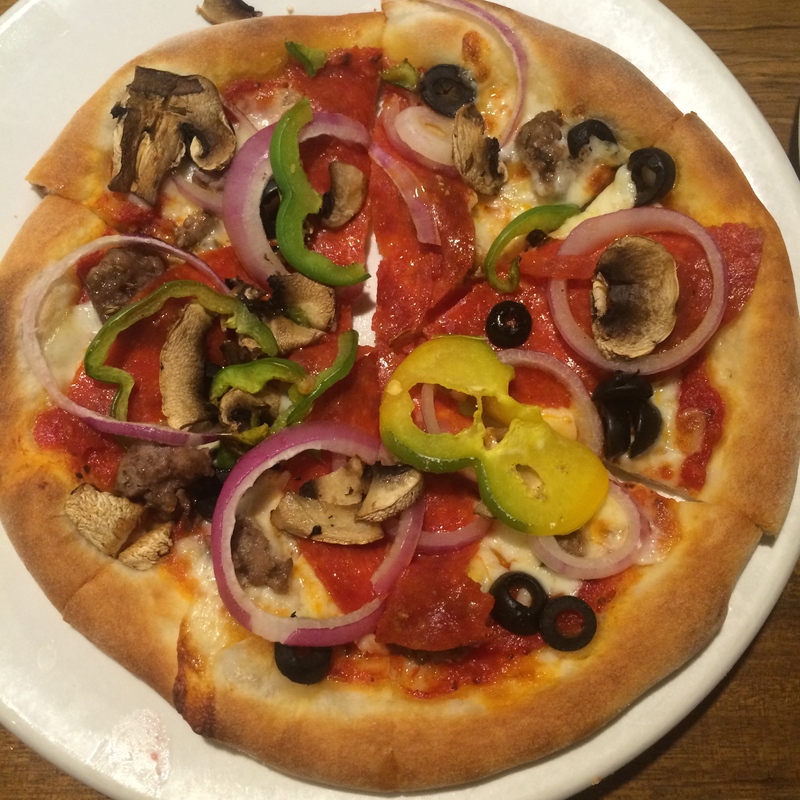 What we love about pizza is all on this what they call The Works on the menu. 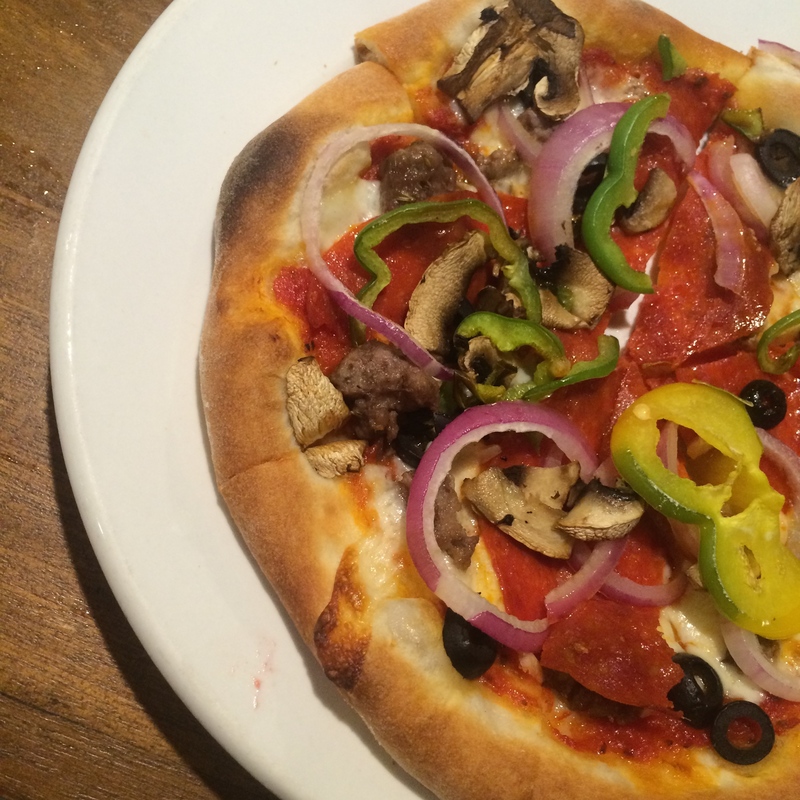 Spicy Italian sausage, pepperoni, mushrooms, onions, green peppers, olives and Mozzarella. The smell when served in front of you is awesome, but the taste is heaven! I almost didn’t wanna share it with my boss. Hahaha! 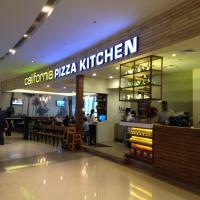 California Pizza Kitchen first opened in Beverly Hills, California in 1985 and expanded to more than 250 locations in more than 30 states and 11 countries. If you wanna try it for yourselves, you can visit them at Alabang Town Center, Bonifacio High Street, Greenbelt, Greenhills, Harbor Point, Power Plant Mall, Tinoma, Mall of Asia, Eastwood, and Century City Mall.